Expeditions that confounded Charles Darwin and Alfred Russel Wallace can be executed online over a cup of coffee. Exotic wildlife rarely seen by human eyes flashes in front of us, courtesy of documentary makers. There is no longer a need to test the mind's eye when computer generated imagery can bring natural wonders to life so realistically. Trying to explain to youngsters that there is a world beyond the tablet and smartphone is a fool's errand without ensuring any walk in a green space delivers the thrills they can expect from tapping on their devices. Post-Christmas, I have been drip-feeding my seven-year-old grandson Benjamin with stories of the wild treasures waiting to be found by venturing outdoors while most people are huddled in front of televisions. 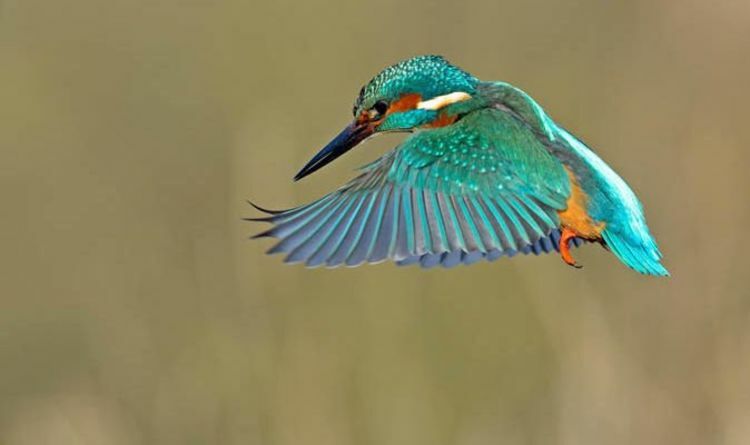 Photographs of kingfishers did the trick. The sight of the dazzling blues and burnished oranges had him picking up his crayons and felt-tips and producing a glittering clique - the collective noun for kingfishers - in a stunning array of poses. Now I had to deliver one for real. We set off on our first official "twitch". As any birdwatcher would admit, kingfishers are elusive but although there were no streaks of electric blue to brighten our winter walk around the Duke of Bedford's glorious Woburn Estate there were discoveries aplenty with deer herds, a host of woodland birds and even a black squirrel, the melanistic form of the grey. Further afield, Benjamin got to see a Slavonian grebe, one of Britain's rarest nesting birds, with only 30 pairs spread across the Scottish Highlands. In winter, a few brighten up the South East with their ruby-bejewelled eyes and subtle non-breeding plumage. A view through binoculars brought a smile to his face. The excitement of how privileged we had been to see such a scarce bird bobbing on a murky pond had ignited a thirst for more discoveries, more adventures. "Wow! Can we do this again?" he asked as he turned the pages of his RSPB Handbook Of British Birds, picking out hoopoes, bee-eaters and his beloved kingfisher as top of the "must see" list. Benjamin's next question had me pondering. "Are there any birds nobody has ever seen?" A quick explanation of how some tracts of South American cloud forest may hold relic species did the trick. Back home, a new report from the Natural History Museum revealed how 2018 had been a busy time for intrepid scientists increasing the planet's biodiversity checklist, with an astonishing 272 new species officially described, some fossils from long extinct species but more than 80 per cent still extant. Although none were birds, the discoveries included scores of beetles, two types of rattlesnake, a legless amphibian and the remarkable blind swamp eel, a fish that can breathe in the damp forest soils of India. But extinction hovers over many of our best known creatures. As Dr Tim Littlewood, head of Life Sciences at the Natural History Museum, explains: "We are losing biodiversity faster than we are capable of recognising it." Let's pray future generations never lose their spirit of discovery.